Sounds like a fancy-schmancy hotel room, right? Nope. We were actually on an airplane. An airplane complete with a full, layout bed, turn down service and included pajamas! It was our first time flying in First Class and were on a long-haul Etihad flight home after 2 months of backpacking Southeast Asia and totally living in pure luxury for the next several hours. Forget the cramped seats where the fat guy next to you is crowding your space and ditch the questionably edible microwave food that makes you queasy just looking at it. Instead, opt for the bed…yes, full blown, BED, eat the steak and sip on champagne as you get pampered thousands of miles high in the sky. Sounds pretty amaze-balls doesn’t it? That’s because it is. However, most people will never be able to even consider a flight like this because of it’s outrageous price tag. I mean, who wouldn’t pay just a mere $6,000 for an international flight? Oh, you? Yeah…me neither. And we didn’t! 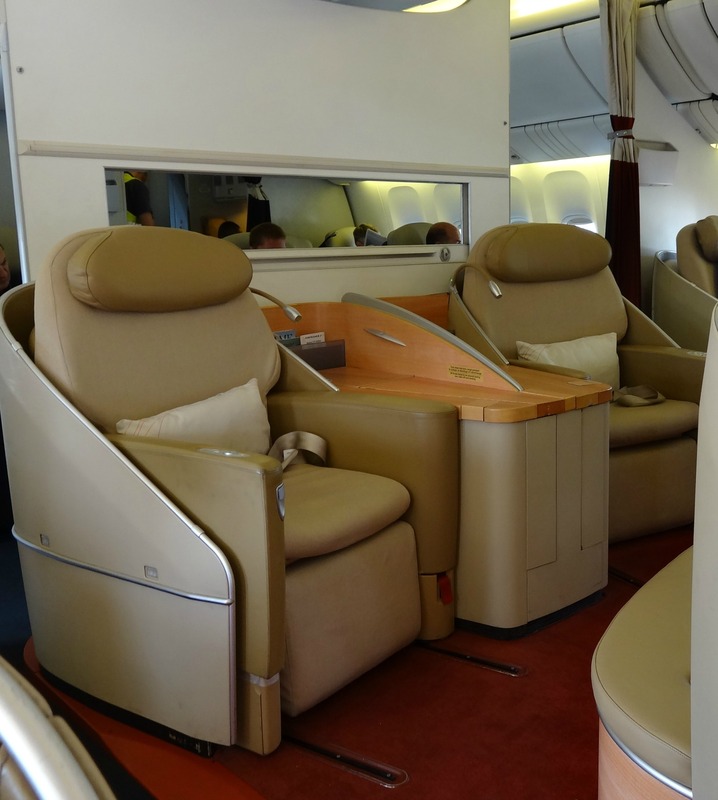 We actually only paid $19 (plus 40,000 points) via Travel Hacking to fly in FIRST CLASS! No, that wasn’t a typo. For less than the cost of a good steak dinner out on the town and less points than some airlines require for an international long haul flight in economy, we flew from Abu Dhabi to Munich in First Class and it was GLORIOUS! I would say that the biggest travel hacking perk is that you get free flights around the world. But when you can pay just a few more points and upgrade to Business or First Class, traveling takes on a whole new world! But, after telling people about the luxuries that actually exist on an aircraft, I often have two basic responses. 1. Wait, what is Business Class? Is this the same as First? What do I typically fly on and how are they all different?? Today we are going to cover point number one and then return next week for all you travel hackers on point number 2. 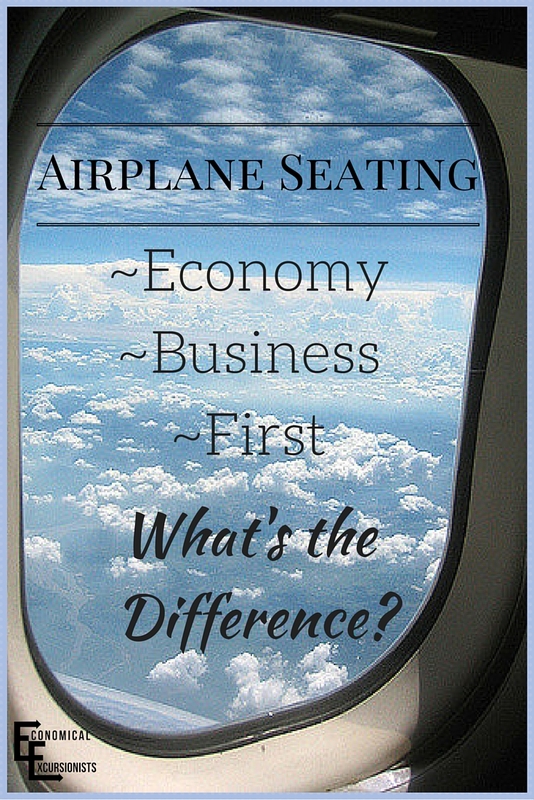 Many people ask “What is Business Class on a plane?” thinking that there is only Economy vs First Class. 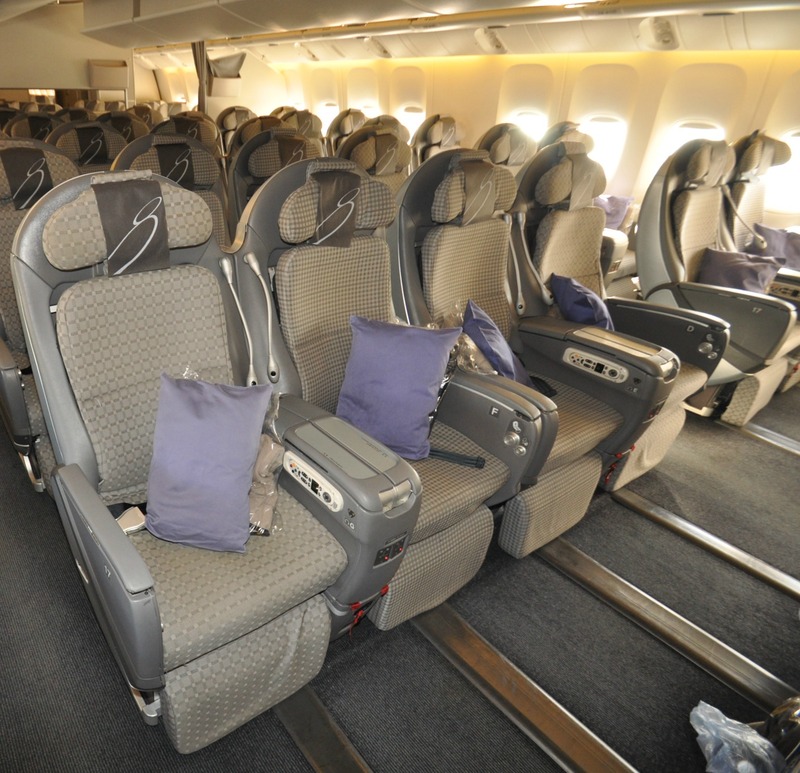 However, Business Class is actually the most common upgrade seating on planes today. We are fortunate to live in a world where we can board a giant vehicle of steel and have it transport us to faraway lands. For most of us, this alone is a luxury in and of itself. But, for those who get to experience a moment of extravagance, there is nothing quite like being pampered as you travel the world! Are you a travel hacker? Be sure to check back next week to find out the best deals on using your points to upgrade to Business and First Classes. 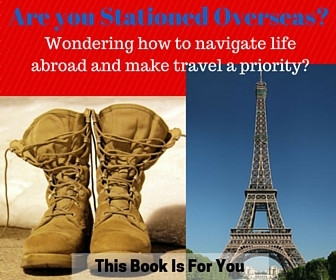 Are you just an average traveler? 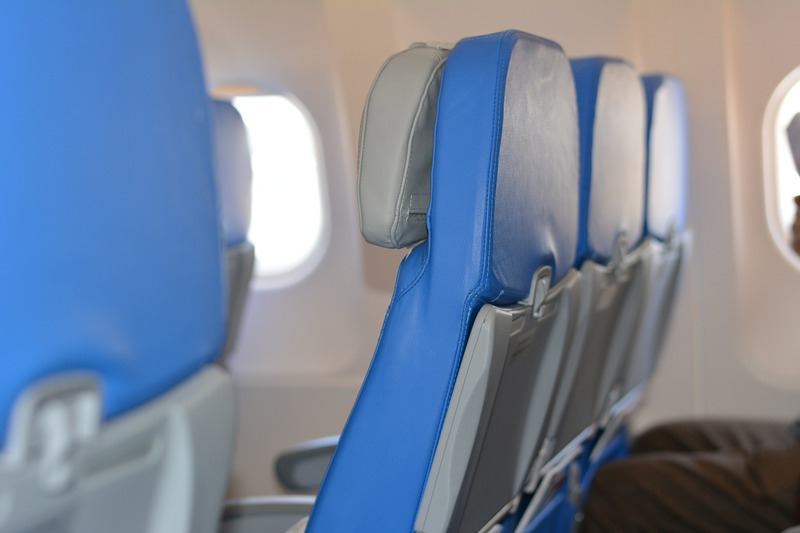 What kind of airfare class do you typically fly in? I loved the spa treatment I had at Heathrow on our last business class flights using points. I almost spat my drink at $19. Unfortunately anyone travelling from the UK will not get a deal anything like this however you could always do a short haul into Europe and then benefit from the mega cheap taxes!! What a great bargain on the upgrade! It looks fabulous and I’d definitely take a deal like that but I usually look for bargains on flights and save the extra money to spend on more activities at the destination. That little bit of pampering and comfort sure looks good though. I would NEVER pay for a business or first class flight, as I’m with you, I’d rather spend that money on experiences at the destination. But hey, when it is free (minus taxes and fees) I’ll take it!! This is awesome! I didn’t even know that we could actually travel hack to be able to fly first class once in our lifetime. Unfortunately we don’t get as much air miles as we’d like as we travel slowly and the credit card offers in Europe are just not comparable with the ones in the USA. But anyway, we will work at it. Great detailed breakdown of the differences in air classes. I’m typically the one seated in economy. 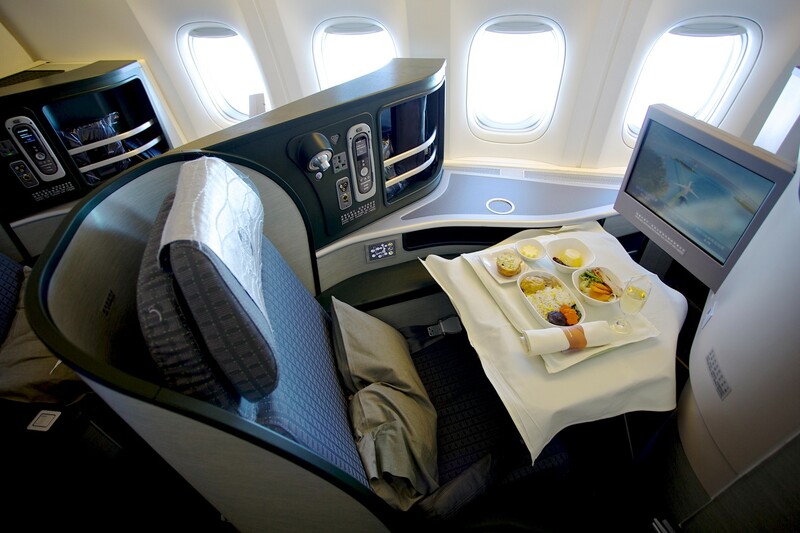 I’d love to experience 1st class during an international flight. That deal you scored sounds unreal. Looking forward to reading your next post on using points for upgrades! Wow that is amazing, such incredible benefits in first class on some of the airlines, and nice work on getting it for $19 and points. Very well done! We have only flown in coach but most flight we take a short haul. We will have to give travel hacking a shot so we can try out a better class on our next long flight. Amazing travel hack, well done on that one. A great run down on the classes. I really try to opt out of economy on long haul flights from Australia and find that premium economy on some airlines provides a great alternative when you can’t fly and the really pointy end of the plane. Flying to and Australia is no joke! I don’t blame you for trying to get a more comfy seat on that long, long flight! Looks like you got a good deal with the upgrade. For me, it’s the extra legroom that makes the upgrades worth it! Especially with long flights! Hopefully you see a good enough difference, although I’ve found it not worth the cost in points or cash for the little difference we’ve ever seen. But, report back on if I’m wrong! That is amazing! It must have been so rewarding to final be able to fly first class after all that travel hacking. I didn’t realize the difference between business and first class. Good to know that business class still has the laydown seats. One day I hope to experience business/first class, but I can’t wrap my mind around how long it must take one person to get all those points. I’m also new to the UK, so need to grow my credit before I start travel hacking! ← Brexit: What Does this Mean for Travel?